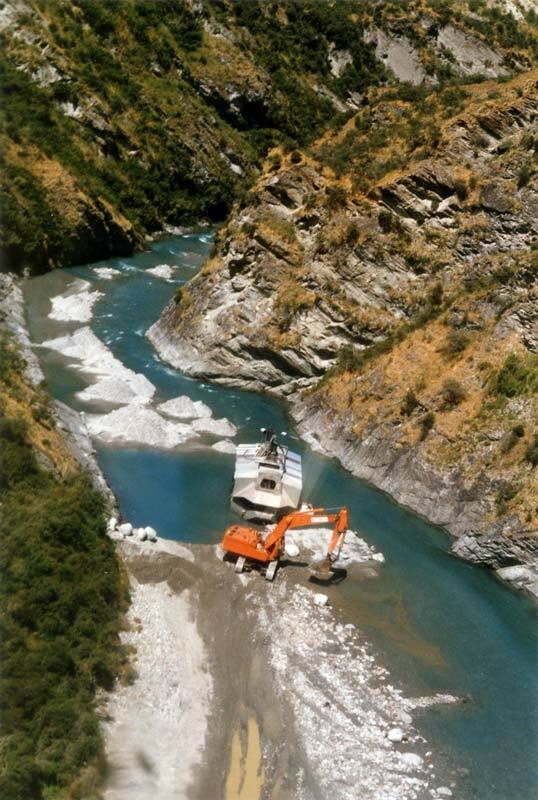 Photographed in the upper Shotover River in the 1980s, this huge digger is scooping up alluvial gravels and feeding them into the gold plant that sits on a pontoon floating in a backwater. The piles of tailings downstream indicate the places already worked. Miners targeted areas that had been inaccessible to early dredges or that were worked over a century earlier but by less efficient techniques.